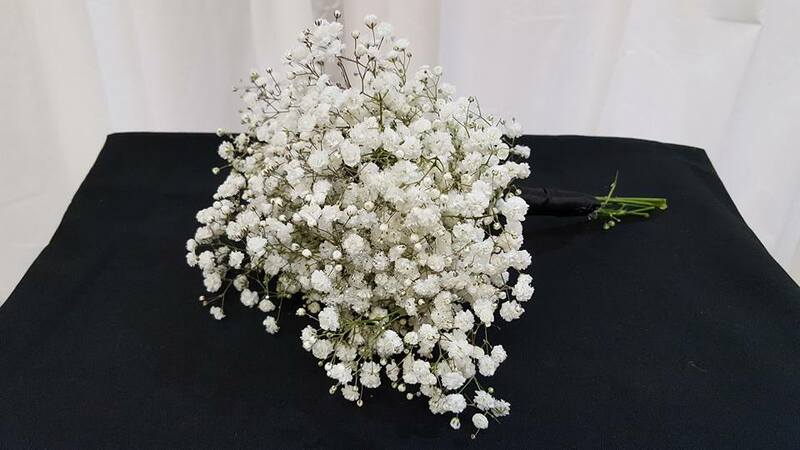 Simple bridesmaid's bouquet of baby's breath with black satin hand wrap. 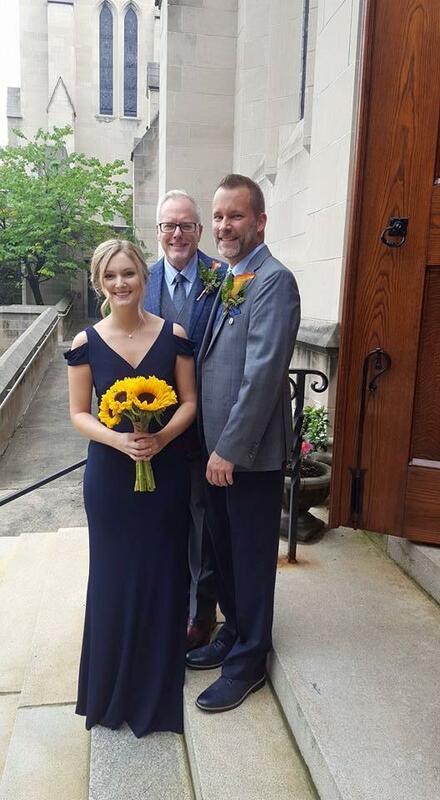 Bridesmaid's bouquet of all large sunflowers with a burlap hand wrap. 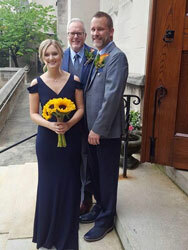 Orange and white themed Bridesmaid bouquet of white and orange Gerber daisies, orange roses, and white and orange carnations with a white chiffon hand wrap. 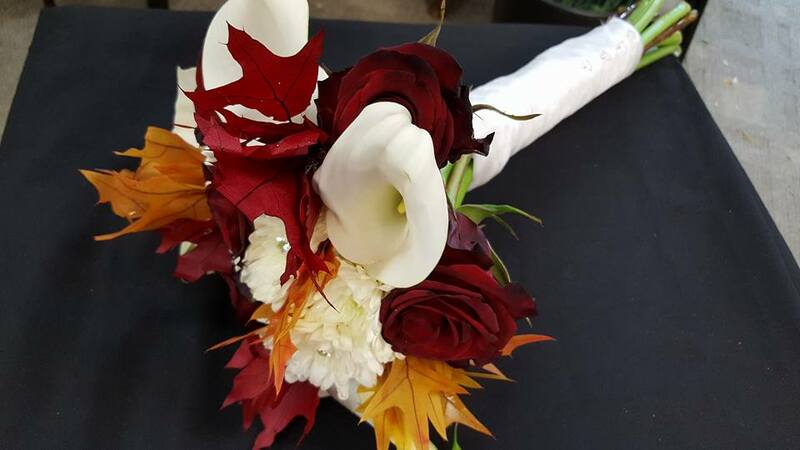 Fall themed bridesmaid bouquet with White calla lilies, red roses, white cushion mums and leaf accents with a white chiffon hand wrap. 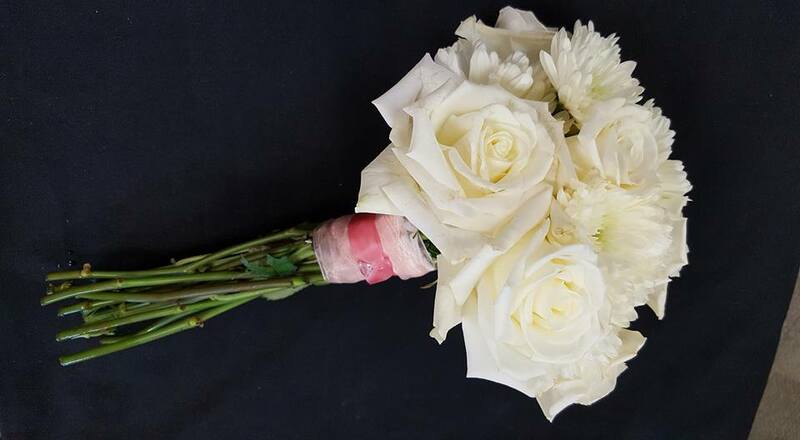 Classic bridesmaid bouquet of White roses and cushion mums finished with a pink chiffon and satin hand wrap. 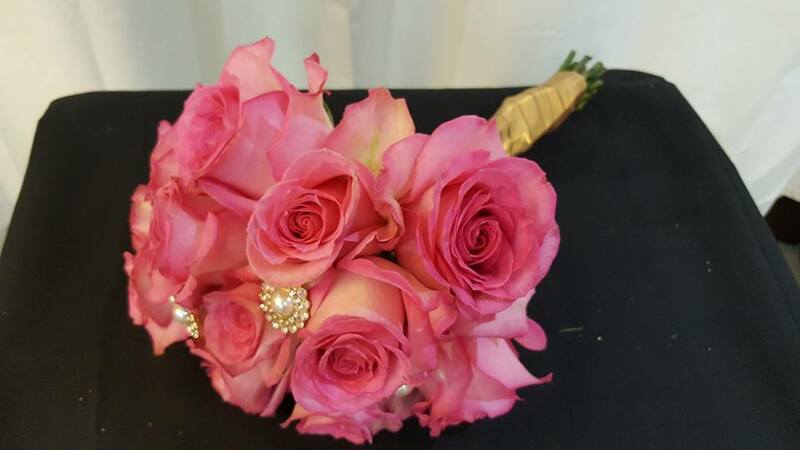 Beautiful bridesmaid bouquet of pink roses with pearl and crystal accents and a gold hand wrap. 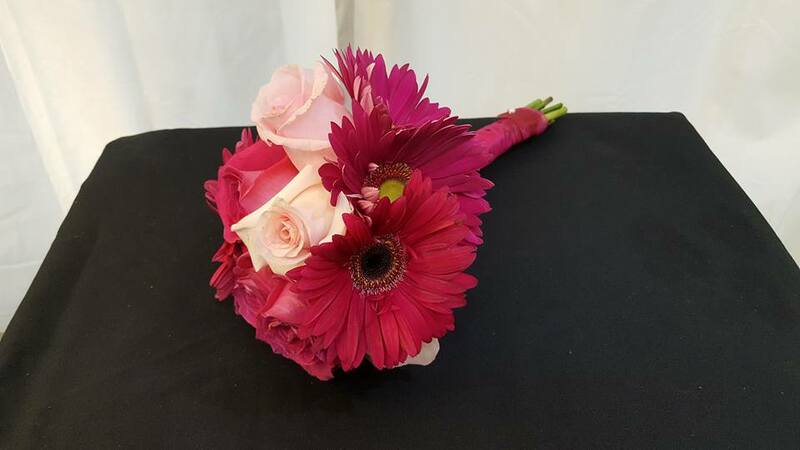 Fun pink bridesmaid bouquet of pale and hot pink roses and magenta gerber daisies finished with hot pink hand wrap. 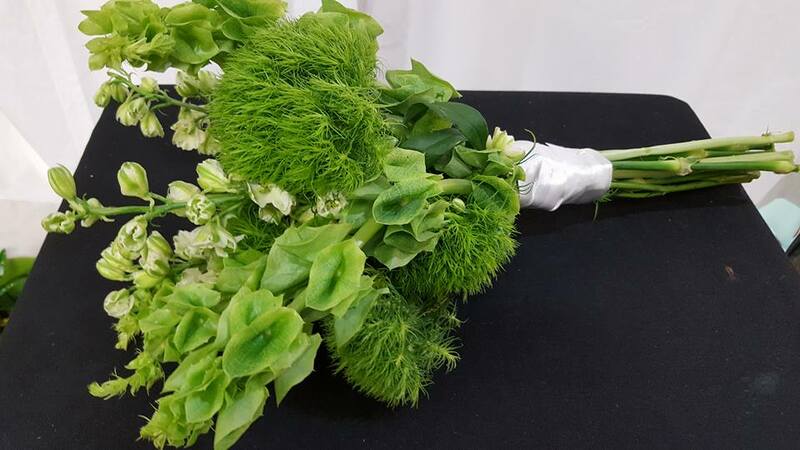 Organic looking spring bridesmaid bouquet of white larkspur, green spike dianthus, and bells of Ireland with a white satin hand wrap. 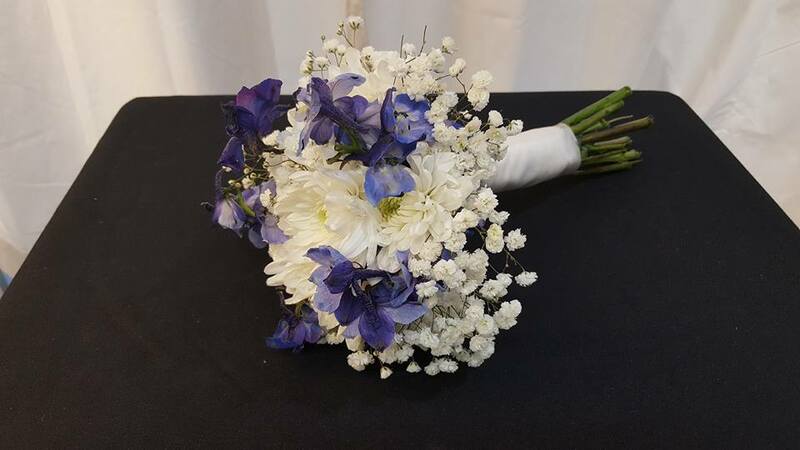 Blue and white bridesmaid bouquet of blue delphinium, white cushion mums and baby's breath finished a white chiffon hand wrap. 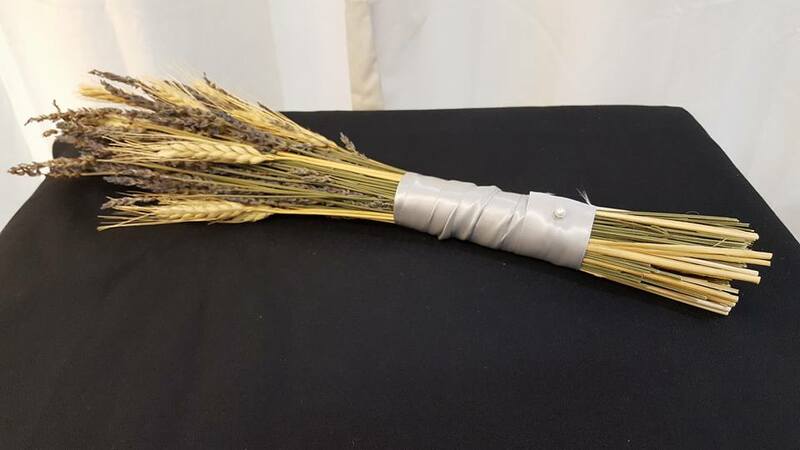 Simple rustic bouquet of lavender and wheat finished with ivory silk hand wrap. 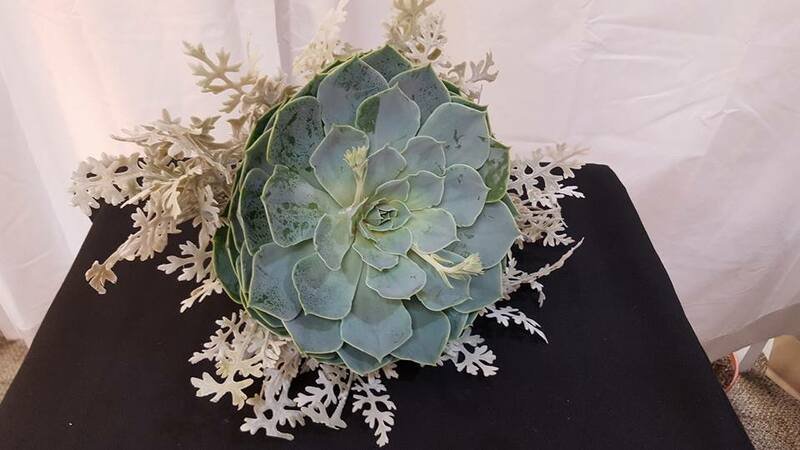 Unique bouquet with large succulent and dusty miller. 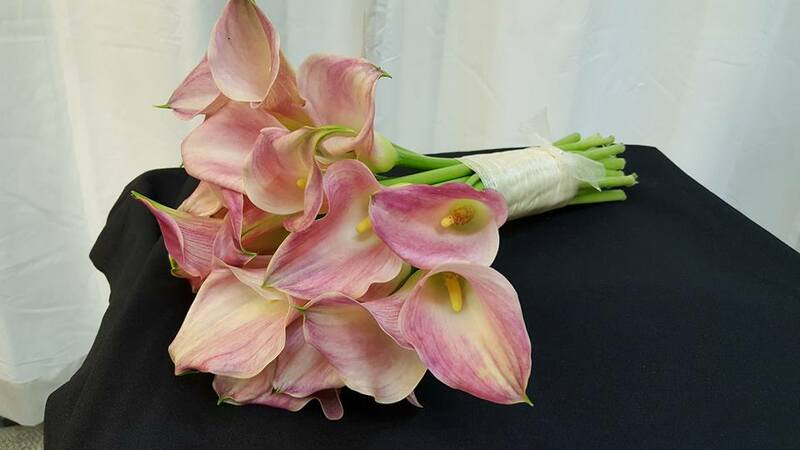 Elegant bridesmaid bouquet of miniature pink calla lilies. 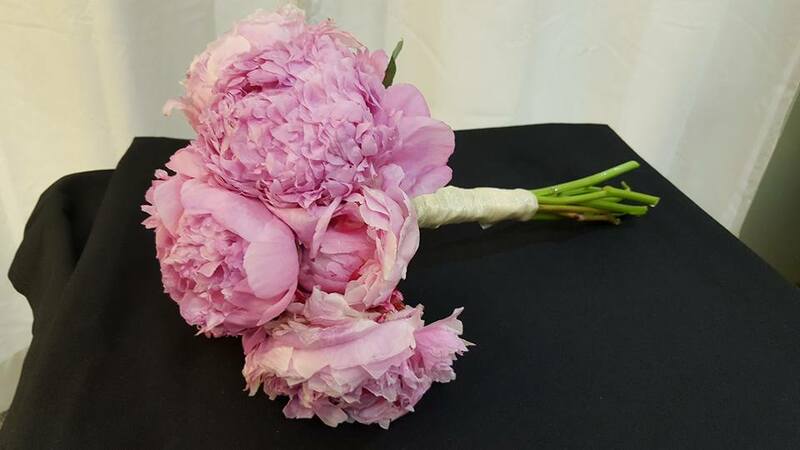 Gorgeous bouquet of pink peonies with ivory chiffon hand wrap. 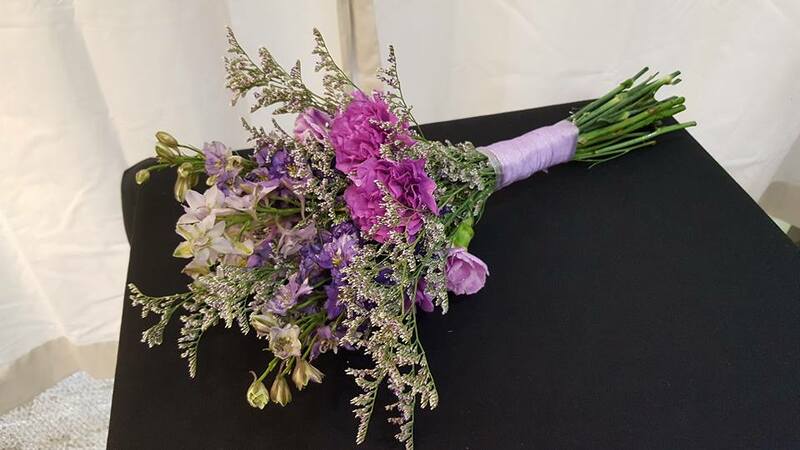 Spring bridesmaid bouquet of larkspur, purple solidago, and purple carnations with purple chiffon hand wrap.